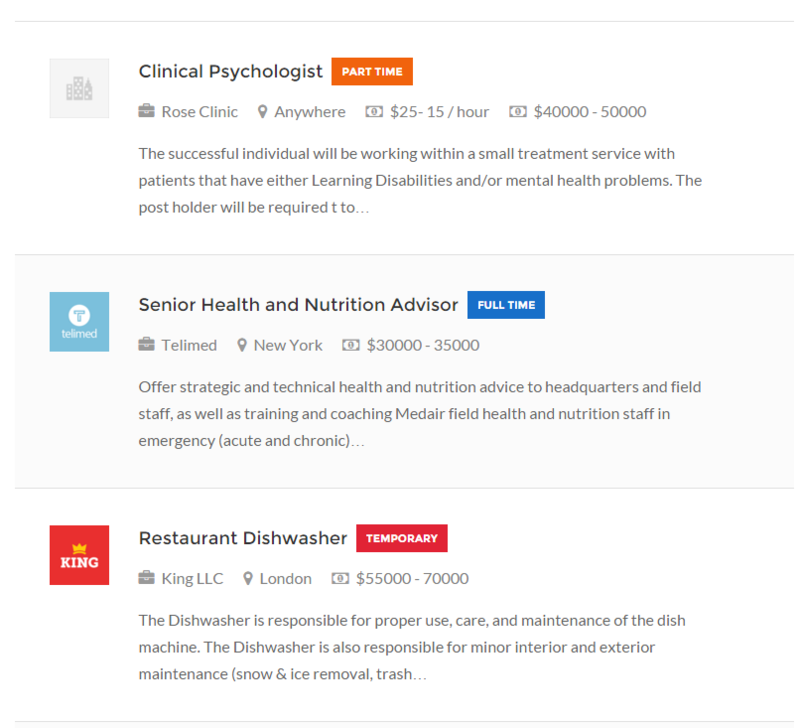 Displays list of jobs with short summary. In your wp-admin - Job Listings - Job Categories you'll see list of all your categories, just click any of them, and you'll be redirected to Edit screen, on this screen you can select icon using option "Font awesome icon for category" a put full path to your own image in "Custom image icon for category"
show_description - true | false - if false shows just a title of job and basic values. featured - True to show only featured, false to hide featured, leave null to show both. filled - True to show only filled, false to hide filled, leave null to show both/use the settings.